JetLease, Revial Ministries Announce Airplane Donation Program. JetLease, the world's premier private aviation sales, leasing and finance company, has joined with Revival Ministries International to offer a new Aircraft Donation Program that will extend a worldwide missionary effort and assist in relief for natural disasters. Russell Dise president of JetLease Palm Beach said, "The moment I met Rodney, we exchanged personal life experiences of losing a family member to Cystic Fibrosis, a horrible birth defect that affects newborns and requires a rigorous daily regiment with hope of making it through your twenties. Rodney had a child that died of CF and I had a sister that only made it to the age of 20. Her death created a paradigm shift in my life that I was never able to truly recover from. The energy and ambition that Rodney exhumed made me want to do as much as I could to help his cause. He is a true champion in a world of few". 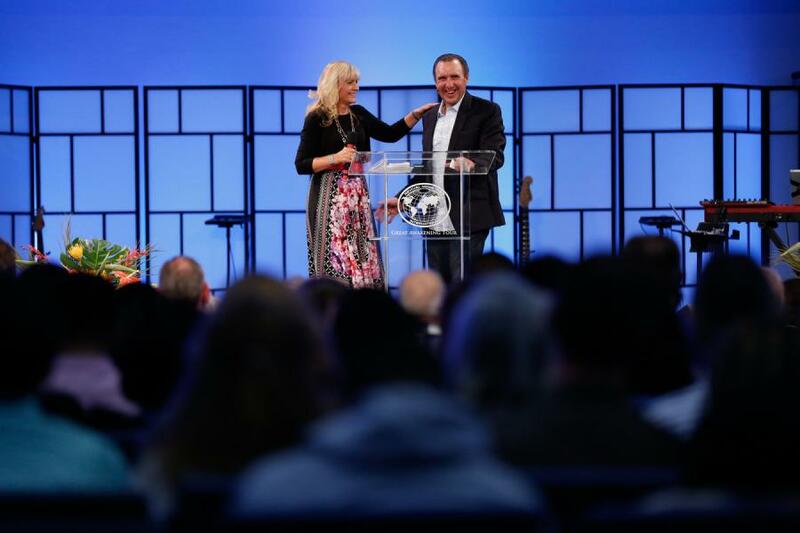 "Because of your charitable gift, you will give wings to the mission, and be a part of an organization that is now impacting 59 nations and counting," said Dr. Rodney Howard-Browne, pastor of The River at Tampa Bay, a church which he and his wife founded in 1996, and leader of Revival Ministries International. All aircraft donations made through this program are fully tax deductible. Revival Ministries International reaches the four corners of the world, the Bible schools in the USA, Finland, Turkey, Latvia, France, Holland, South Africa, Haiti, and Canada, as well as free training programs in 158 nations. Their mission extends to Africa, South America, North America, Asia, Europe, the Caribbean and Oceania, where they identify and effectively train locals to reach their communities. JetLease will oversee logistics, maintenance, scheduling and operations for the aircraft donation program. Based in Palm Beach, JetLease has offices throughout the world, including South America, Europe, Asia and Middle East. JetLease, established in 1983, serves the needs of private, corporate, commercial and military aviation for sale or lease of aircraft. Headquartered in Palm Beach, Florida, JetLease has offices in Miami, Fort Lauderdale, Cleveland, Chicago, New York and Los Angeles. International offices include Colombia, Dominican Republic, Panama, Venezuela, Brazil, Germany, Saudi Arabia, and China.